Few can compare to legendary actor, comedian, and musician Jackie Gleason, whose extraordinary talents span from the 1940s through the time of his death on June 24, 1987. Born Herbert Walton Gleason, Jr., on February 26, 1916, in Brooklyn, NY, he was baptized as John Herbert Gleason. He started using the name Jackie C. Gleason at the age of 24 in the 1941 Warner Brothers film, Navy Blues. Although perhaps most widely known for his role as Ralph Kramden on The Honeymooners, Gleason was also an acclaimed musician and composer. even though he could not read or write music. He would "hear" a melody in his head and describe the tune to another musician, who would then write the music for him. 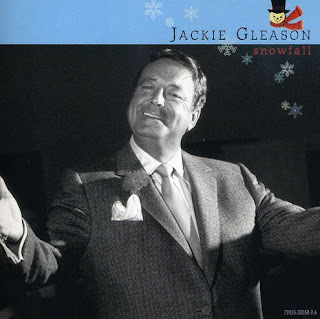 Among Gleason's arrangements are the theme to The Jackie Gleason Show ("Melancholy Serenade") and The Honeymooners ("You're My Greatest Love"). Bob Crane performed and recorded his own arrangement of "Melancholy Serenade" on his album, Bob Crane, His Drums, & Orchestra Play the Funny Side of TV. Crane's impersonation of The Great One can also be heard throughout the number.